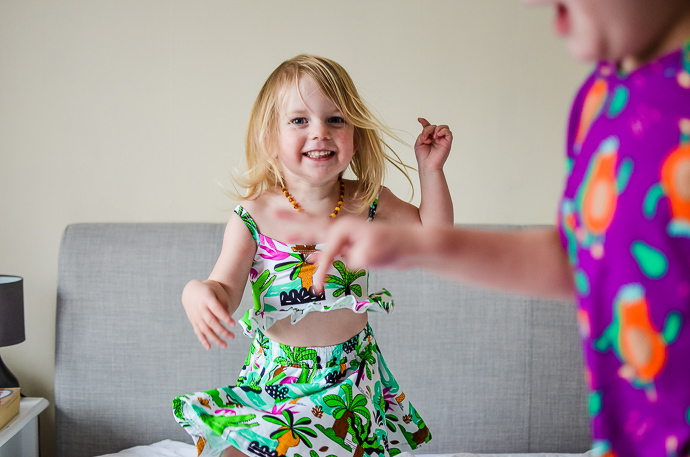 Although it is still very much jumper weather, I am getting excited for summer and starting to buy bright clothes ready for the beach. 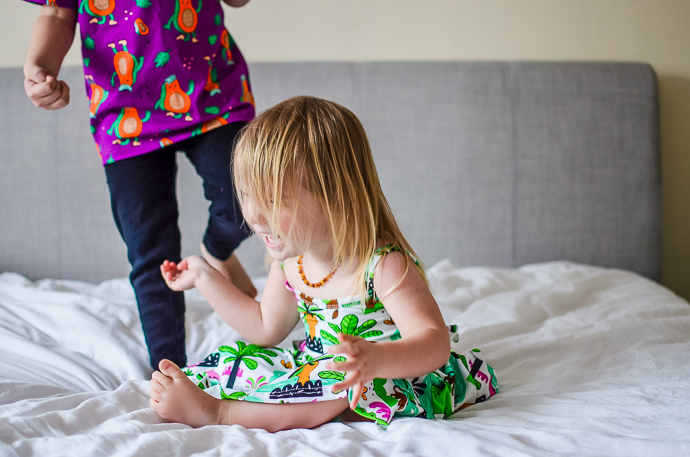 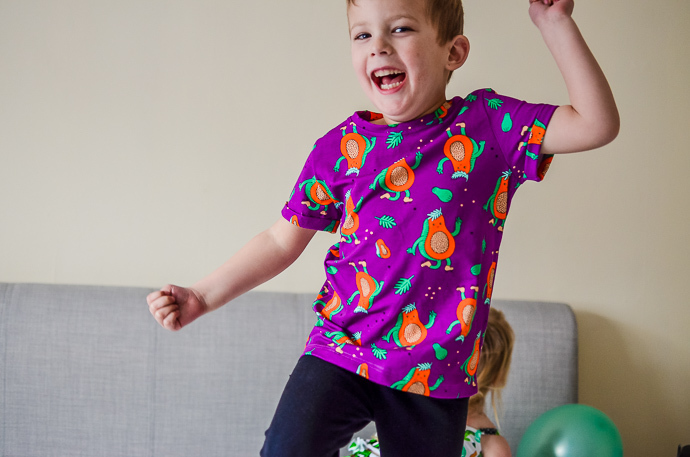 The new Raspberry Republic collection is full of colour and I love the funky designs, as do the children. 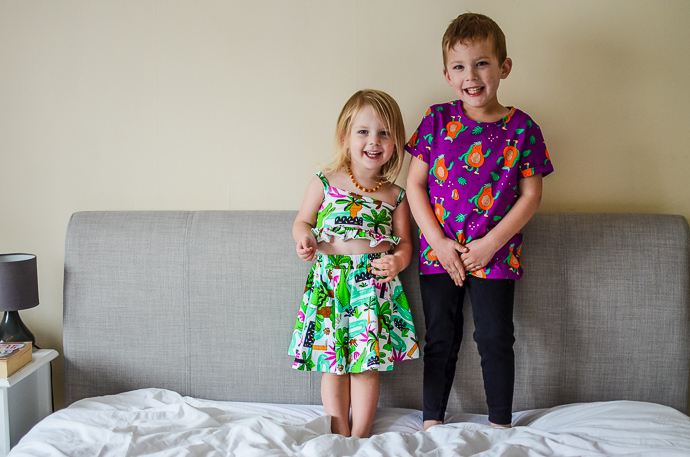 As soon as Dylan spotted Finn's t-shirt with rollerskating papayas he asked if I could get him one the same and Cora and I had great fun spotting the pink dolphins on her Samba skirt. 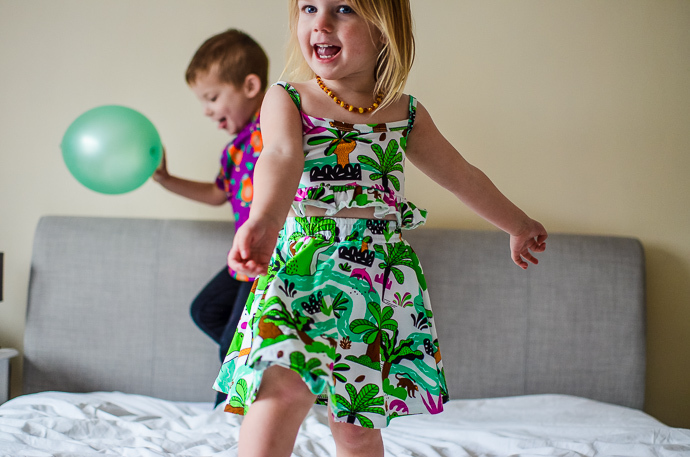 The collection is called Viva Brasil and is available at Little Footprint . 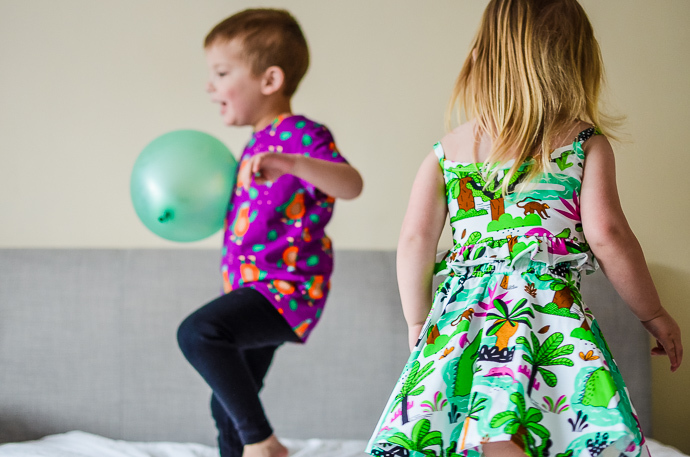 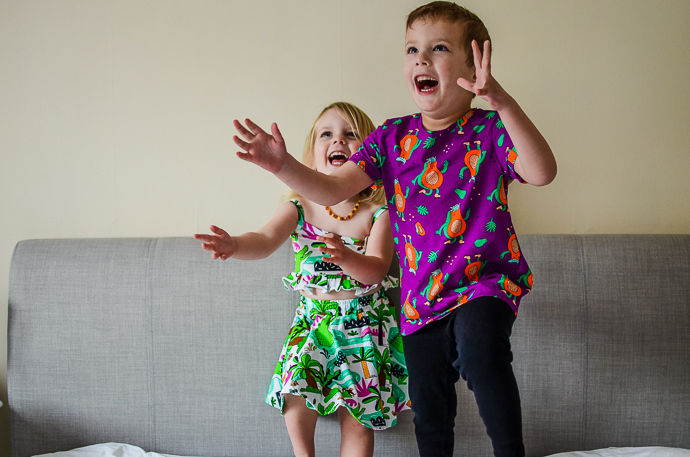 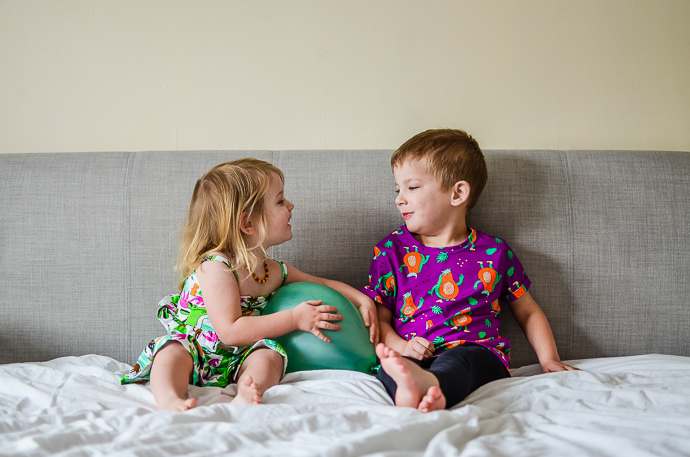 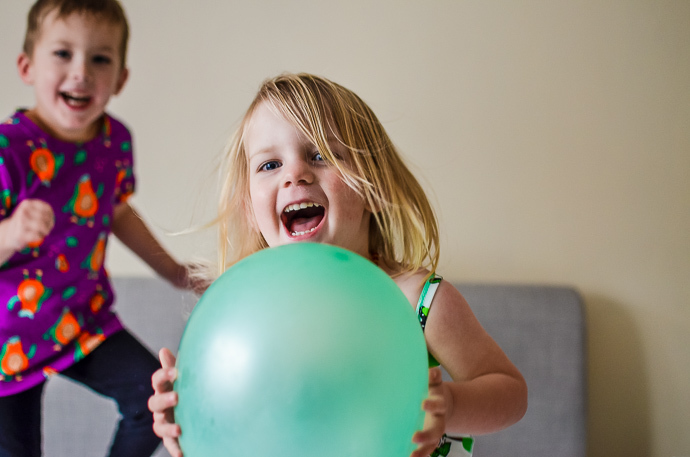 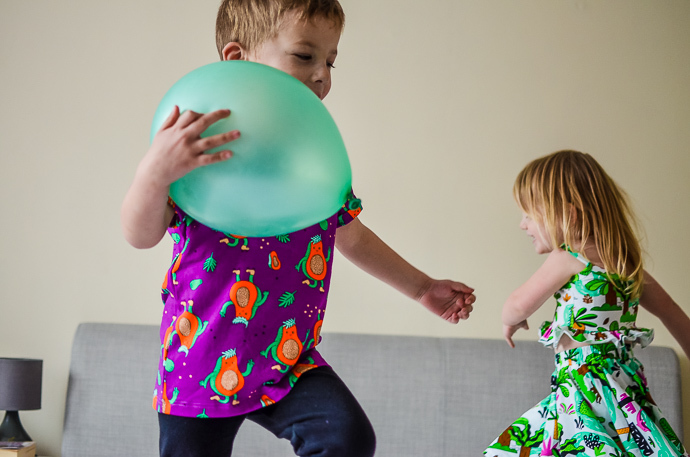 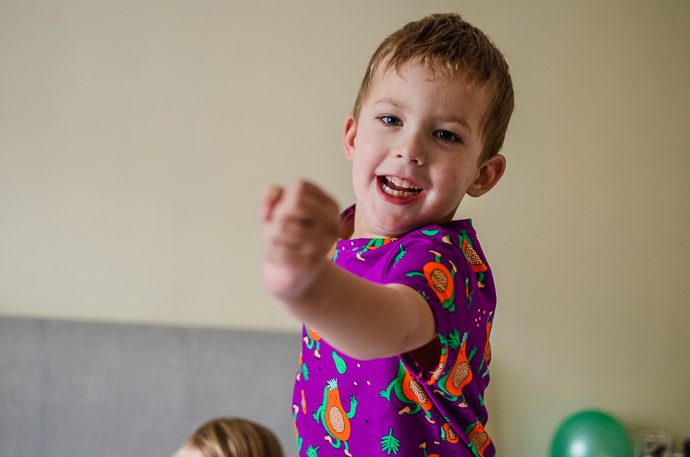 We had a little trying on session followed by a balloon game and I took a few photos of the clothes in action - full on bouncing, spinning, falling over, mid giggle action. 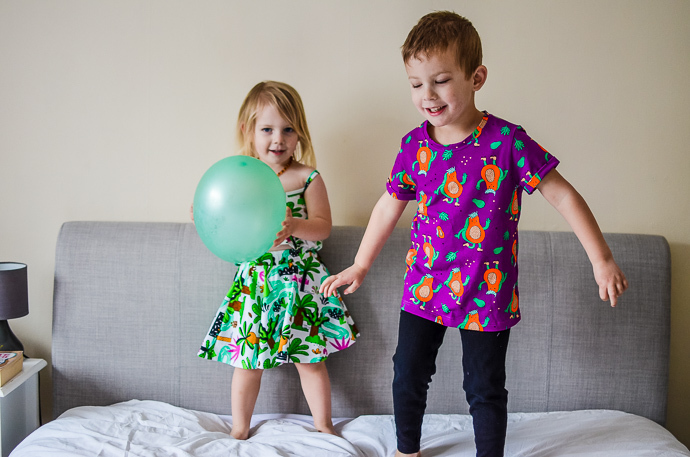 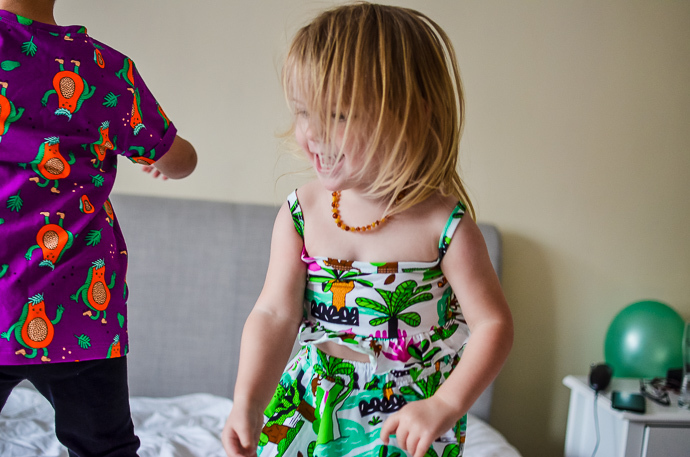 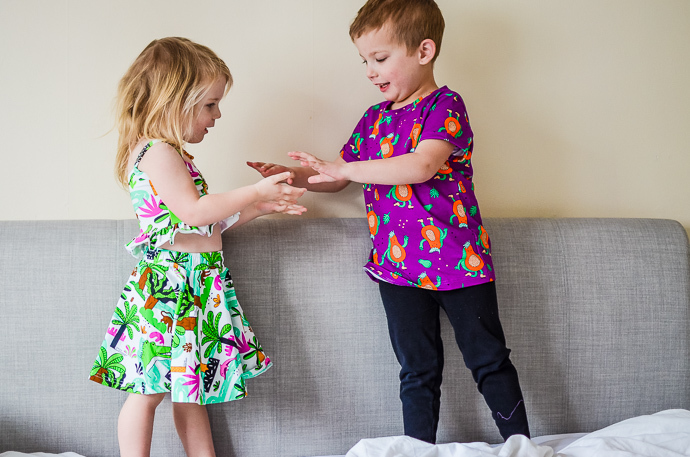 The t-shirt has plenty of growing room (this is age 5-7 on Finn who is 4) and the samba set is age 2-3 on a petite nearly 3 year old. 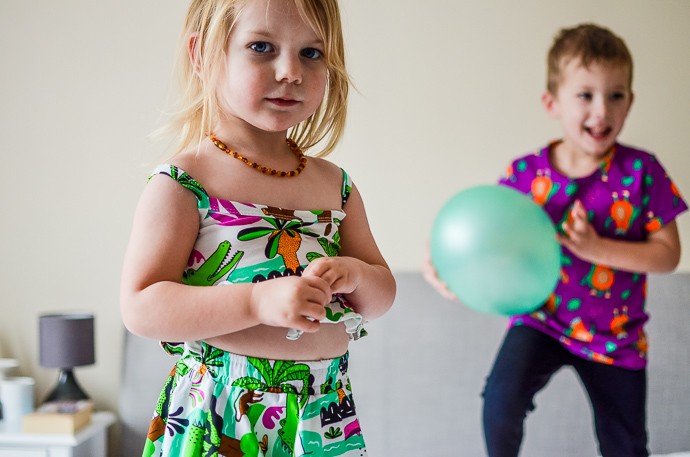 I love the outfit for the beach but the skirt is great for now with a long sleeved top and tights as well (see the last couple of pictures). 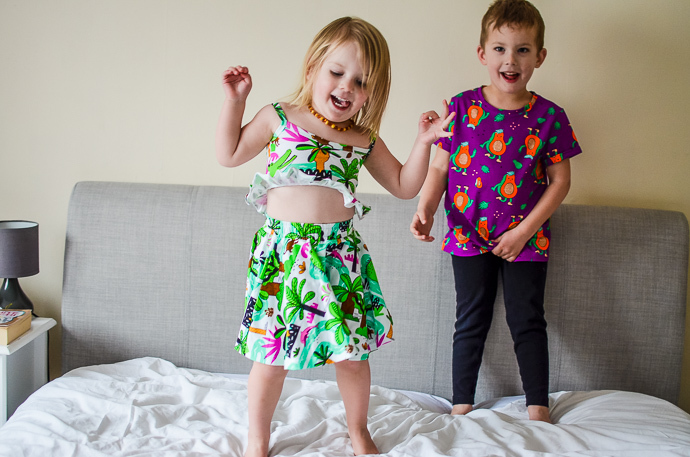 We were sent these items from Raspberry Republic but I have already bought some of the new collection as I love these bright colours on Finn especially and they are so much fun for the summer. 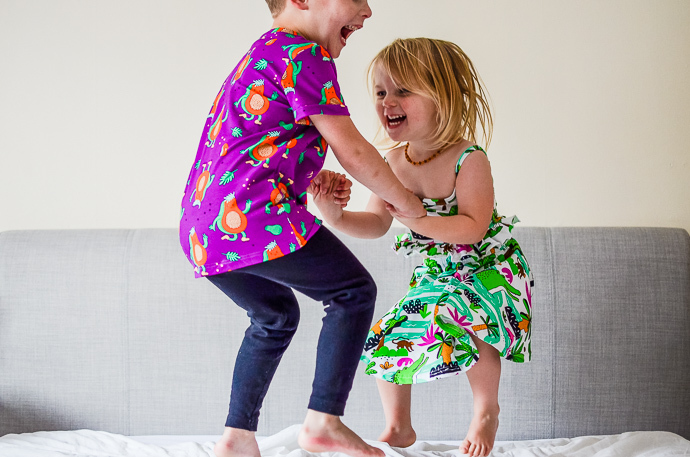 Everything is made from organic cotton and is super soft as well as holding the colour well (we have bought past season bits that we love too). 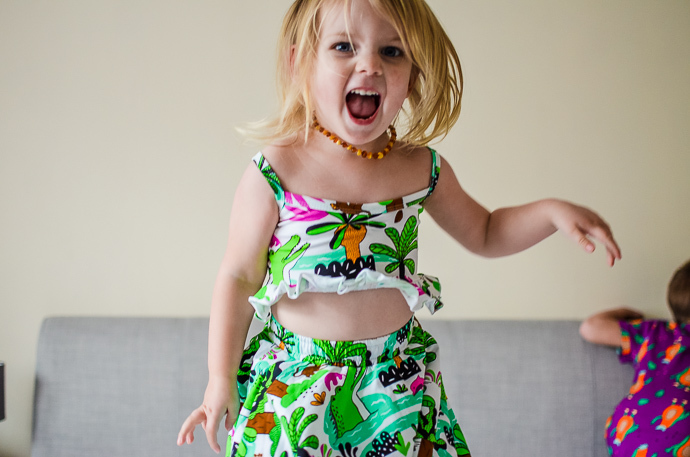 If you want outrageously fun designs which are like nothing you have seen before then check out Raspberry Republic!